Have your fall garden of root crops mature as late as possible by planting as late as possible. Cold weather sweetens the roots and you'll be putting the freshest produce into a cool root cellar, garage or back porch. Leave your last planting in the ground until the roots are fully mature; they'll store better if they're protected by a thicker skin. Whether you're going to eat most of your vegetables fresh, or you intend to freeze, can, or store them in a root cellar, a good rule of thumb is to harvest as close to the time you're going to eat or preserve them as possible. This gives you the best flavor and nutrition. For a longer storage life, dig up the roots from your fall garden after two or three days of dry weather. Your root crops will be dry, and by leaving them out for a few hours in the sun right after you pull them, you'll kill the root hairs, making the plant dormant, and the soil on the roots will dry and fall off easily. Never wash roots before you store them. Just cut off the tops right out in the garden. Leave about an inch of stem for beets, so they don't "bleed" in cooking. For other root crops, cut the tops close. Wash the roots just before using them. Only store the best roots. Any that are damaged by insects or harvesting you can eat fresh. Injuries are avenues of rotting that can spread to the other vegetables. (Yes, one bad apple can spoil a whole bunch!) If you should bruise any, eat them right away. Also, don't ever clip off the bottom end of the root before you put it in storage; this, too, can open the plant to rot. Cover vegetables with 1/4-inch layer of insulation. You don't need an elaborate root cellar to store vegetables, even for months at a time. You can easily extend the fresh life of root crops using whatever storage space you currently have. The length of storage time may vary according to your storage method, but with any of the methods described below, you can be sure of at least a few extra months of fresh vegetables. To stay crisp and fresh, root crops just need cool, moist, dark surroundings. The ideal place would be about 34� F with high humidity. Most gardeners can only approximate these conditions. But whether you have a root cellar or just a spot under the back porch for storage, the most important element for long vegetable life is an even, cold temperature. Variations up or down of even five degrees can cause new growth to sprout (which you don't want) or rotting. Here, insulation is the key. There are many ways to give your roots the insulated low temperature they need. In-ground storage is the least expensive, most carefree root storage. If you have an unheated basement, you can build a root cellar by partitioning off one corner, installing some insulation and a good, sound door. You're actually making a refrigeration unit. The temperature inside the root cellar will be coolest near the floor, and that's the place for your root crops. Don't put them right on the floor -- it may be too damp. Raising them up on a few boards should do the trick. If you live in an apartment, you might team up with your neighbors and your landlord to turn part of the basement into a community root cellar. 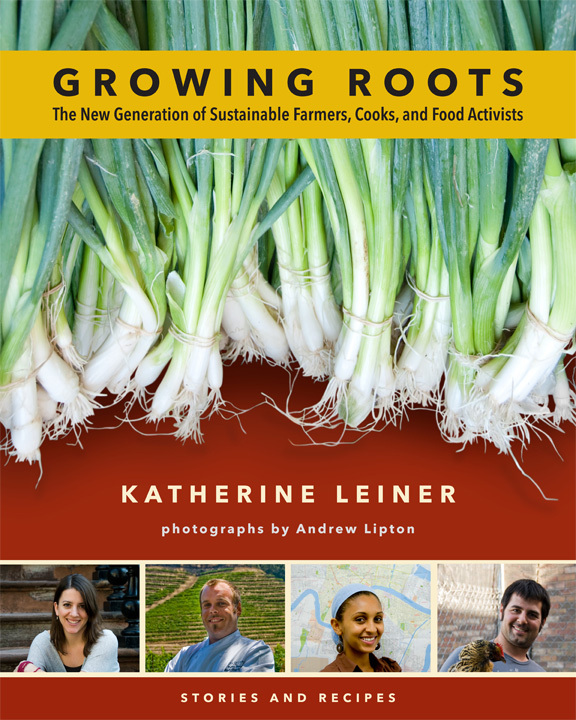 There are several excellent books available on constructing root cellars. Two are Keeping the Harvest, by Nancy Chioffi and Gretchen Mead (Garden Way Publishing, 1980) and Root Cellaring, by Mike and Nancy Bubel (Garden Way Publishing, 1991). In addition, the United States Department of Agriculture publishes a series of free home-building booklets. If your cellar is cool but not insulated, a large, sturdy cardboard or wooden box with two to three inches of some insulating material (sawdust is best, and moist peat moss or sand also works well) on the bottom and sides will do fine. Place a layer of carrots on top of the sawdust, leaving two to three inches of space near the sides. Cover the carrots lightly with sawdust--1/4 inch is fine. Alternate layers of carrots with sawdust, filling in all around the edges with sawdust as well. Add a final two to three inches of sawdust on top, and store this "root box" in a cool basement area. In older homes, the cellar steps leading outside make handy storage areas. Here are some other storage methods that work in a cool cellar. Put the roots in a plastic trash bag, punch a few small holes in it, tie up the top and store the bag. Or, put your roots into a trash barrel with a plastic liner, put the lid on and store the whole thing. If you have no cellar, you can still use the insulated box method. But you'll need a really large box (supermarkets usually have some from deliveries of paper towels and napkins) lined on the bottom, sides and top with four to five inches of sawdust or peat moss. Pack the roots in the sawdust and store the box in a cold place--your garage, back porch or an unheated spare room. Whenever you need some vegetables, just take them out and repack the sawdust around the rest. Roots can touch each other in storage, just don't pack them in tightly like canned sardines. Some moist air must be able to circulate. When you visit your storage area to get vegetables, check for any roots that may not be keeping well and cull them. Don't worry if a few are starting to deteriorate--some individual vegetables just don't keep as well as others. The rest will be all right. If your vegetables freeze in storage, don't panic. You can still use them. But once they've thawed they won't keep for more than a day or so. Your storage method can be as simple or complex as you like, but be realistic about what your family will eat between gardening seasons. Just as in garden planning, a small area that you visit regularly is better than a huge one in which food is wasted. Of course, if you really want to keep it simple, your refrigerator crisper drawer will keep roots fresh for several months, but you can only store a limited amount this way.